Posted July 17th, 2013 by admin & filed under Post. Sometimes it can be difficult to get snakes (especially young snakes) to eat their prey. While lack of appetite can be a sign of illness, very often it can be resolved with one or more of the methods listed below that have worked for me. 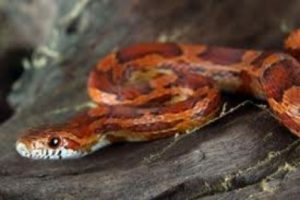 Note for non-snake owners: some of these things might seem kind of yucky so you may not want to read further. Increase the enclosure temperature to maximum for the species. House alone in a quiet dark place. Try braining a small live day old pinkie. That’s slitting open the brain case. Place the snake and the pinkie inside it’s cage overnight. Place snake and dead prey in a much smaller container. Wash pinkie and then rub with shed lizard skin. Some folks suggest using live prey. This really isn’t a good idea as the prey can often bite and cause infected wounds on the snake either externally or internally after being swallowed. If none of these work, call to set up an appointment.